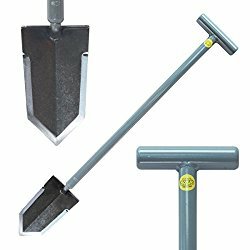 ← Fisher F44 Metal Detector – Go Ahead and Detect in The Rain! I got a chance to take the F44 on a couple of hunts this past weekend, first at the fairgrounds and then later at an old house with a friend. Later at a friends house I found a few more coins and a cool token with and eagle on the front and the words “No Cash Value” on the reverse side. All in all it was a fun first hunt with the Fisher F44 metal detector. It found several coins including a dollar coin, a buckle, relics, and even a cool token! This entry was posted in Fisher F44, Metal Detecting and tagged arkansas metal detecting, F44, Fisher F44, Fisher F44 Detector, Fisher F44 Metal Detector, Fisher F44 Metal Detector Finds, metal detecting, metal detecting articles, metal detecting blog, Metal Detecting Finds, metal detector. Bookmark the permalink.